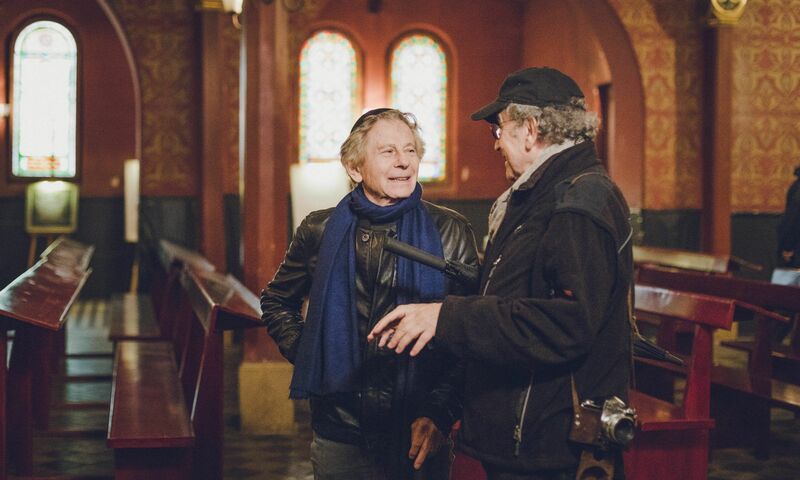 CRACOW, October 16, 2017 – French-Polish director Roman Polanski flew to Cracow (Poland) to shoot a documentary film about his childhood and youth. 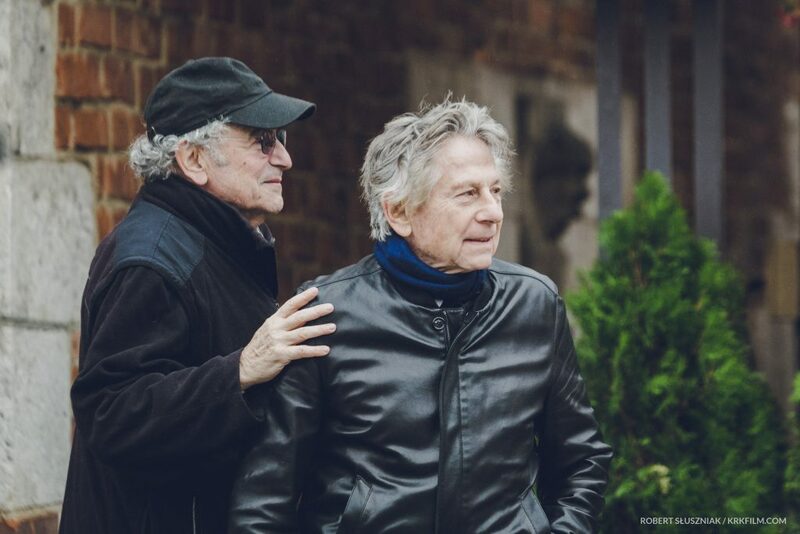 The Oscar-winning filmmaker is accompanied by his longtime friend, world-renowned photographer, Ryszard Horowitz. Over the past half-century, Horowitz has been residing and working in New York City. ”Since I left for the US, we’ve never been back together in Cracow with Roman.” – said Ryszard Horowitz on the first day on set and pointed out that almost 60 years have passed since that day. Friends went together to Podgorze district, where during the World War II Nazis established a Jewish ghetto. This is where nine-year-old Roman met three-year-old Ryszard. ”The greatest suffering was having to live without my parents. First, they took my mother from the ghetto, then my father.” – said deeply moved Roman Polanski, when walking the streets of Podgorze. The 84-year-old director went back to a small village near Cracow, where he was hiding from the Nazis after escaping the ghetto. Ryszard Horowitz revisited the flat, where he developed his first photographs. 78 years old Horowitz is one of the youngest survivors of the Holocaust and his story was told by Steven Spielberg in his Oscar-winning movie ”Schindler’s List”. ”For us, this film is a great responsibility. The characters entrusted us with their incredibly personal memories. They have so many stories to tell, sometimes it’s really hard for us to keep up.” – says the producer of the film, Anna Kokoszka-Romer. ”Despite the difficult experiences that shaped them, they both have a great sense of humor and that really affected the crew.” – says the director, Mateusz Kudla, as he recollects one of the evenings they had spent in Cracow, when Roman Polanski and Ryszard Horowitz, while waiting for their meal in front of a food truck, entertained everyone in the line. It is Roman Polanski’s first visit to Poland since the Poland’s Supreme Court has rejected the request by the Polish minister of justice to have him extradited to the United States. ”I am very glad, that thanks to Supreme Court’s final ruling, Roman Polanski was able to come to Poland and be a part of such a personal project.” – says Jan Olszewski, Polanski’s lawyer. The producer of the film, Anna Kokoszka-Romer, is a longtime news journalist, currently working at the biggest Polish TV broadcasters, TVN. The film is directed by Mateusz Kudla, the winner of multiple international film festivals, including this year’s Cannes Corporate Media & TV Awards. The executive producer is KRK FILM.